ResCare has been brought in on an interim basis to Gary Job Corps; they are interviewing Management and Training Corporation employees to potentially continue staffing the facility. It is unknown how long the interim period is. The employees will continue receiving normal pay through April 30 from MTC; Gary Job Corps Center (GJC) is staffed by approximately 500 employees and has approximately 1,400 students. Adams and Associates Inc. was awarded the contract to take over management of GJC in October 2017. However, MTC protested Adams and Associates’ bid and received an extension to continue management of the facility while the U.S. Government Accountability Office investigated the protest. On March 22, the GAO dismissed MTC’s protest. On Monday, April 2, MTC was notified that ResCare would be on site at 1 PM on April 3; additionally, the same day, April 2, MTC filed a third bid protest under the same solicitation and file numbers. According to federal vendor information, Adams and Associates contract was taken from awarded to definitive for GJC two months ago. Corridor News is still investigating for more information. This is a confusing set of circumstances. 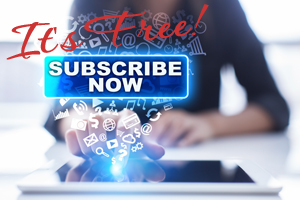 MTC protests for a THIRD time; Adams and Associates gets held in limbo from a definitive award; ResCare temporarily staffs the GJCC facility? Who is running the place? How does MTC use the same solicitation and filing numbers to file yet a third protest? When is no mean no? When you find out more, we all look forward to clarity, and some idea of the public’s recourse for protesting and voicing concerns…to whom does this matter in public positions? It’s such a joke out here right now. Certain pimps Need to step down. Terra Arredondo wrote me up for not meeting my numbers, but did it when my boss was out on leave. So when I asked my boss she said no you dont have write ups, no one meets their numbers. So I called my manager and she wouldnt answer nor call me back. I had just seen her the day before and instead of having a face to face or even a heads up, she fedex the write up to me then avoided my contact. During the timeframe for the write up I had just came back from maternity leave, didnt have access to my systems for weeks due to her dropping the ball. So when she wouldnt reply for days, I sent an email and explained my side, the questions I had, etc. She finally responded but lied and so I sent the back up emails with proof of it being her. So then she started treating me differently. All up to me giving notice to leave the company. As soon as she got notice, she took me off activities, denied me to go to our team meeting that was already approved, then said I was denied because of cost when I said I wasnt staying overnight so it is no cost. She delayed my payment for this event, sent the check to me in my name but took me off the event when I gave notice. Then demanded I fix it. Told HR I cashed the check and didnt pay the vendor. So when I gave the receipt the HR, right there in my presence they had to call and verify I didnt falsify the receipts. The last day of my employement, Terra wanted me to leave the company car, credit card and keys with the workforce staff. I am housed there but dont work there. I told her I didnt feel comfortable doing that. So I asked transportation to bring me back to Austin after I drop the car off in San Marcos and complete my exit paperwork. The transportation manager had no problem with taking me back to my office. He said they already had students they needed to take to Austin anyhow. And he thought it was a great idea to leave the car there on center. Once Terra was aware of this she informed transportation that they were not allowed to take me back. Her whole thing was I didnt ask her for transportation to take me back. I told her the issue is she is on a power trip and she doesnt think ahead and mad that I came up with a better plan. And I dont ask her anything because she ignores me and only communicates with me to clean up her messes. All she said back was I didnt ask her before asking transportation ? . Now HR has contacted me stating they cant find the keys to the GSA that I left. I sent pictures of where I left them, I requested the footage of it, and asked if the GSA is where I parked it, has the credit card been used to track where it may be. Of course no response. It is very strange that they are misplaced when I was demanded by Terra not to leave it on center. I have complied, turned in all my items and property. Now HR said my check is on hold until they can figure out what the next steps are. A degree means nothing.. Experience is better.. I have hired people with them.. And don’t understand how they Even got then..
Who ever is upset about not having degrees are upset because they dont have one. It doesnt make you a better employee based off a degree, but it does show you had drive to complete it. And if it is a requirement why should you not try to obtain it? Its a requirement for the job. These charges are LAW ENFORCEMENT issues!! Why isn’t L.E. involved? It’s because MTC’s policy is that NO ONE IS TO EVER CALL 911!!! Employees are instructed to only call Gary Job Corps Security, and their jobs threatened or lost if not followed. This is illegal!! LE must be informed!!!!! Lonnie Hall and crew will be found guilty of coverups and gross breach of the Zero-Tolerance Policy!!!! The OIG is on it. So why does this essential humanitarian action, to call for help when deemed needed, continue to be prohibited in actuality? This is illegal!!! Criminal! This current OIG investigation, I hope, will pop the abscess of illegality by MTC, and spur a deeper Job Corps investigation. This crap has to stop. Anonymous and others: Please get others to voice their issues, facts, frustrations, and concerns here, as well as to their Congressional representatives, and to the Administrators of the Department of Labor, Education and Training Administration, and Job Corps. People are reading these articles, not just in San Marcos. This corruption needs public awareness…otherwise, no one cares and the beat goes on. After further reading of the OIG report, 26-17-001-03-370.pdf, I found it hypocritical that the Deputy Assistant Secretary of Education and Training Administration (ETA), Byron Zuidema, rebutted in disagreement that Job Corps students are not fairly compared to their peers. See the irony in the ETA’s rebuttal? They are worried that the Job Corps students are made out to be worse behaved than their peers. But kids in high schools, technical schools, and community colleges ARE NOT their peers! We are talking a different population altogether! Apples and apricots! This was hypocritically supported by the ETA’s excuses that Job Corps students have been brought into structured environments for the first time in their lives. This is NOT a peer group to regular high school and colleges – sorry ETA…nice try!!! Experts at talking out both sides of their mouth making excuses for non-compliance to uphold behavior and law enforcement standards. Everyone reading this needs to get on the ball and write their Congresspersons and the National Directors of The Department of Labor, Job Corps, and Education and Training Administration. 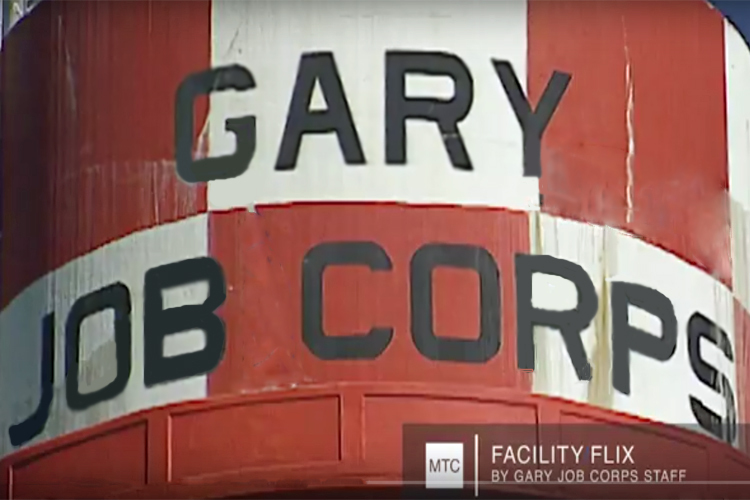 This is bigger than a simple management change at Gary Job Corps…this is corruption!!! Dude you were there for like a month, don’t go making broad generalizations about my students like this. You don’t know them. They are the same as any student anywhere else, they aren’t another breed. Your agenda is getting a little thick. Go do some push ups and settle the F down. Not a month, Dude. And I have done my homework. The place is corrupt. You think the OIG was, and is, there to give everyone a dozen roses and a gift card at Chuy’s? Why do you think MTC is out, after 18 years as a sole-source contract manager? I still maintain the generalizations… but are not to disparage any individuals, especially the initiated and motivated students. But there is a culture of behavioral there that is NOT equivalent beyongvJov Corp’s walls. Don’t believe this? Do YOUR homework and read the volumes of OIG audits, investigations, indictments, and historical inaction to change and use MY money prudently. I’m calm…you should stick to the topic and not go personal. If my agenda is “thick,” move on. Even managers and some supervisors need to go. The Job Corps award process is filled with cronyism since 1964. The contract operators, Res Care, MTC, Adams are all slum lords, supported and protected by USDOL and the current regime. It is time to down size the program as a whole, fix the crumbling facilities. It is time to make the training real and lose the welfare mentality the Job Corps still promotes. The three long time contractors mentioned here are ALL SHADY and all in it for the money. Been with all three, and not an honest bone in the bunch. Job Corps and its students are suffering because of its loss of focus. More money spent on incentives and spy cameras instead of real repairs and real training. Get it right National Diretor or step down and close the program out. The tax payers are being fleeced unbelievably. In as few words as I can say, to not single out a single slice of population with ties to Gary Job Corps, shut this dump down. I was a student at gary for 16 months. I’m not some hood rat who does weed and gets drunk. I was just a guy who had bad luck in his adult life and wanted a 2nd chance. but in the end, those 16 months went to waste. it wasn’t so bad at first, in fact i was often told “you’re the first person i’ve ever heard say they like being here”. but it got worse over time. in my last month or so there, things just got worse by the day. the staff kept us in the dark about everything regarding the contract, except that we “might lose it”. before the last student satisfaction survey thing, Director Hall threatened us to give the center a high score. the night before we did the survey, my dorm president tried using “scare tactics” to get us to give the center a high score. by scare tactics, i mean she told us that if we got a new contract then they would bring drug dogs to campus and “y’all won’t be able to walk around smokin your weed anymore”. honestly i WANTED that to happen. all the good students did. most students did drugs frequently, and they made life a lot harder there. so we wanted them gone. i awol’d out before i could see the results though. i could not stand to be there anymore. i don’t want to see jobcorps shut down, there ARE good people there. but they are rare. i don’t want to see good people lose their 2nd chance at life taken away because of a lot of bad apples. that would just be the classic gary “punish everyone”. ResCare has come in offering everyone more money. This has changed alot of staffs moral they were starting to fell a little better and like stability was around the corner. Then they were told in a staff meeting that MTC( Mr. Hall) was doing everything he can to get the stop work order. As staff everyone is tired, mentally drained and upset with all the changes MTC and Mr. Hall continues to put them threw. Mr. Hall continues to tell the staff that he’s fighting for them but, staff wish MTC and Mr. Hall would just walk away. Staff, beg if anyone can stop this madness please do. This company isn’t thinking about the student’s nor the staff. Please HELP this Gary Job Corps center. With all the negative info and comments here, hopefully the DOL OIG takes MTC and Gary apart wholesale. Hall, Matthews, Goodman all are part of the corruption…their days are numbered, no matter what they tell staff and students. Too many smoking guns. Hall is…OUT! Is there hope? What is going on now at Gary? A new Director is installed by ResCare, yet Adams is out of the picture. It seems like the scramble to change over is more of the same turmoil in running Gary. I’m not expecting anything to change as long as the secrecy and closed doors prevail…the public needs to be told, and needs to uproar. $218M contract money is not chump change if nothing is different. If you enjoy working for a company that has no loyalty, lack of integrity, high turnover rate, and not providing students with quality jobs, MTC is your company. DOL (Dept of losers) are so blinded in what goes on at centers.